The first step towards successful conception begins with understanding your fertility cycle and resolving the barriers to a healthy pregnancy, which may include resolving other health issues. With great sensitivity and skill, I will assist you and your partner in increasing your capacities for natural conception as well as increasing your success rate during IVF. I have worked with many couples to establish a solid foundation for a healthy full term pregnancy. Be patient with yourself. Many people have conceived under my care who have been told they would have difficulty conceiving by other practitioners. Thru my sessions, many women have come to understand, embrace and transform their unique relationship to their fertility and discover the keys to a deeper connection with their pregnancies. Read some of their testamonials here. The first session will establish where you are in your fertility journey and is an opportunity for you and I to develop the best program based on your unique presentation. I recommend my fertility package which allows us to cultivate a relationship to your body over a menstrual cycle and create a program of treatment in particular windows of your hormonal phases or IVF program. * Establish your blood type and set up a nutritional program and detoxification protocol for your unique biochemical needs. * Define the 4 phases of your menses and which phases need the most support and what those measures will be. * Learn how to connect to your breath as a method of bringing the 5 flows of energy to your uterus. * Identify what lab and diagnostic tests you have had and identify other possible tests that may be helpful as you proceed. Some test may provide you with a deeper awareness of contributing factors that may be blocking conception or causing repeat miscarriage. * Experience Acupuncture and CranioSacral therapy so that you can become comfortable with what a treatments feels like. 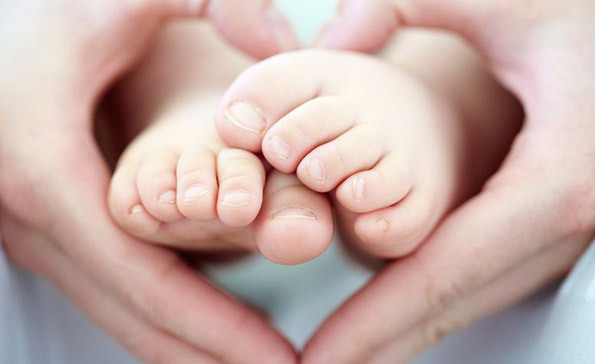 In successive treatments we will align your body for the preparation of conception, and implantation as well as support you during IVF treatment to improve outcomes. The goal is to balance and relax your nervous system and improve circulation to your womb. “The uterus is the woman’s center. and in good health, nothing in her life will be right. One of the core components of my work with women and fertility involves Maya Abdominal Massage. Maya massage is evaluative as well as a self care massage that will help you enhance blood flow to your uterus especially if the is a malposition, scar tissue or physical or emotional trauma that has happened to your womb. Dr. Rosita Arvigo, DN developed these techniques, after apprenticing with Don Elijio Panti, the last of the Traditional Maya Shaman in Central America, where she has lived for over 30 years. The Arvigo Techniques of Maya Abdominal Massage™ is a non-invasive, external, massage technique that guides internal abdominal organs into their proper position for optimum health and function. Maya massage improves organ function by releasing physical and emotional congestion from the abdomen. The patient and the practitioner receive insight as to the nature of the causes of imbalance. A self-care routine is taught and additional methods for the patient to implement at home are given. Patients are then guided as to what to expect as the techniques improve their conditions and improve other dimensions of health. Most women find it to be a very insightful treatment that changes their relationship and appreciation of their uterus, her cycles and overall health.